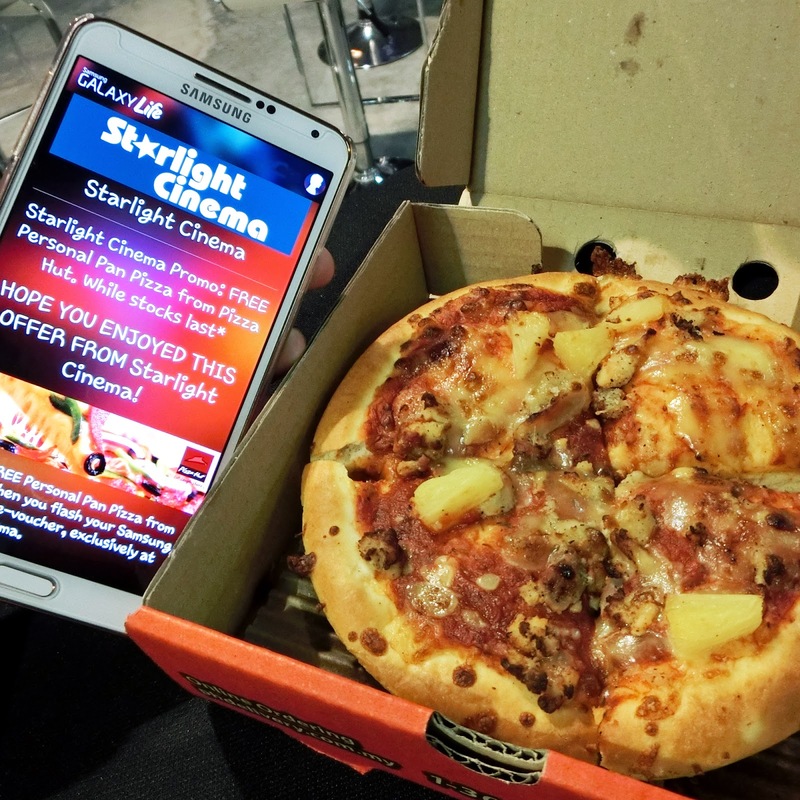 When I first heard of Starlight Cinema, I thought it's just another film exhibitor that brings the latest movies to the country. I didn't know what's so special about it until I read about it on Samsung GALAXY Life app. 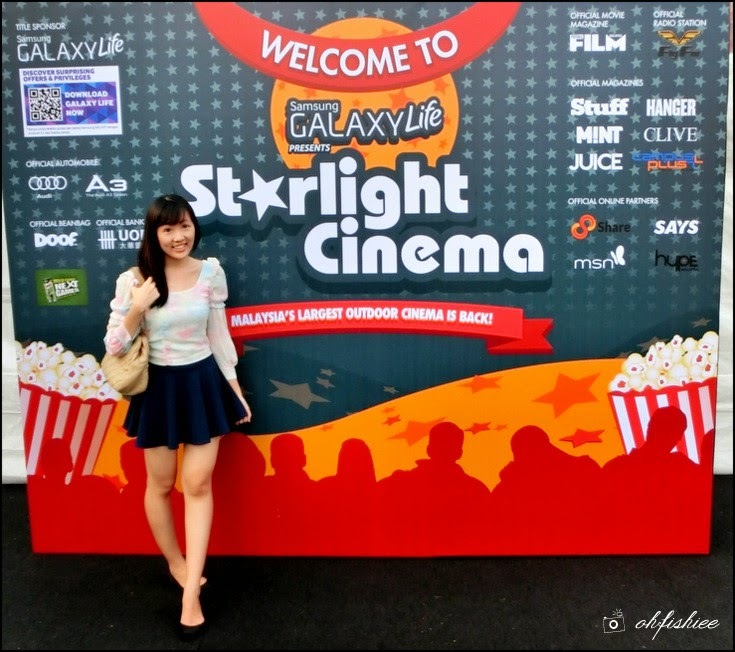 Held from 13 to 21 June 2014, Starlight Cinema is the Malaysia's largest outdoor cinema. 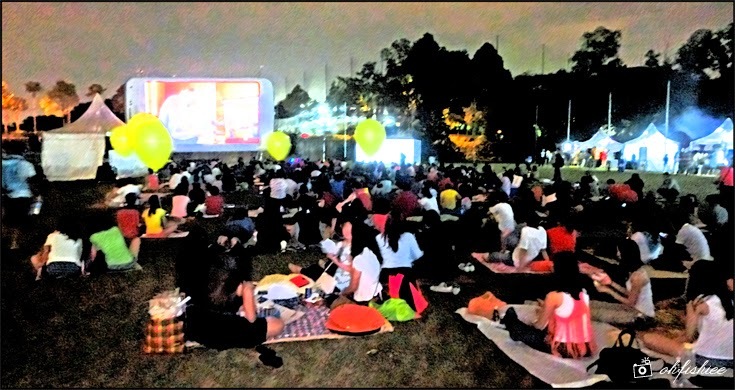 Now it is bringing us a memorable experience of watching movies on a wide green field, under the starry sky. Of course, watching movies with your friends and huge crowd are much more fun than on your own. 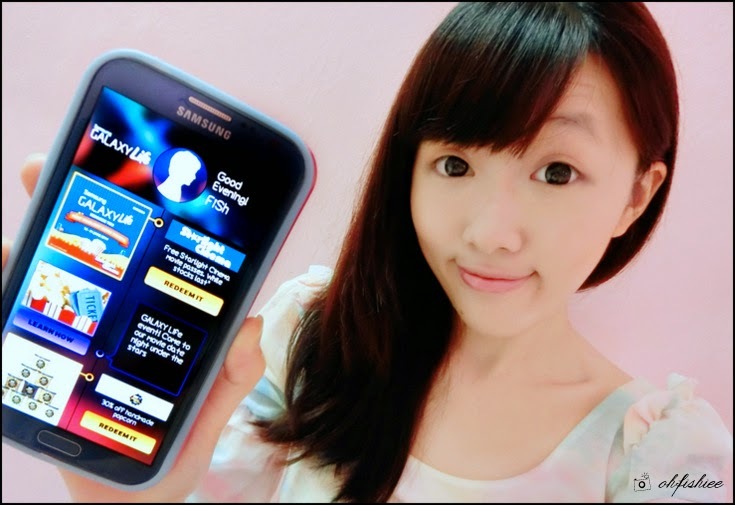 From 13 to 21 June 2014, Samsung Galaxy Life is giving away 300 pairs of FREE tickets each day. Normal entry during weekday is RM10, and RM18 for weekends. But.... good news for Samsung GALAXY device users! 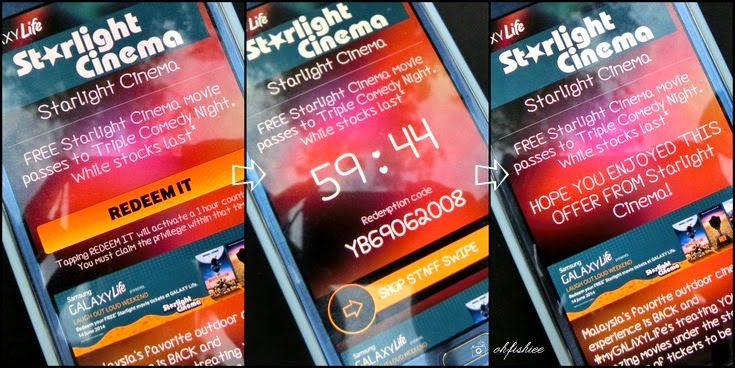 You can download GALAXY Life app from HERE and redeem 1 FREE pair of passes to Starlight Cinema at Bukit Kiara Equestrian Park. Just click "Redeem It" when you're almost at the venue, show it to the staff and enjoy your movie night! I was there to redeem 1 pair of FREE passes for the Weekend Triple Comedy Special movie marathon -- Comprising of 3 movies: Despicable Me, Despicable Me 2, The Internship. 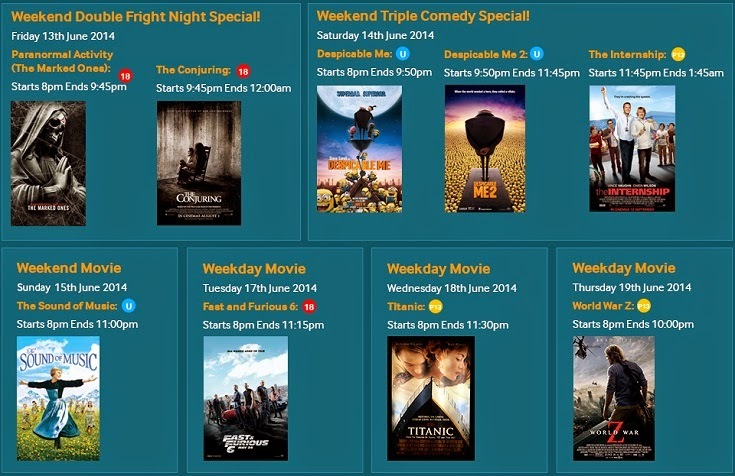 If you've missed it, no worries, an awesome line-up of movies await you. Check out the whole week’s schedule is available here: www.samsung.com/my/galaxylife! 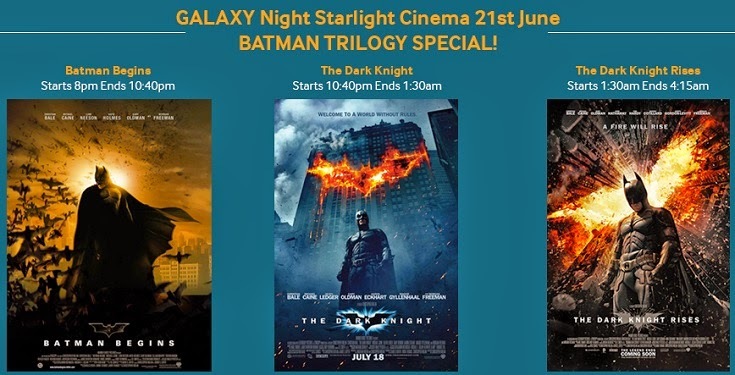 I'm looking forward for the Batman Trilogy Special on 21st June!! Anyone wants to accompany me there from 8pm till 4.15am? Back to the event. There are ample parking space at Bukit Kiara Equestrian Park with lots of direction signs, so you probably wouldn't get lost. But arriving early is an advantage, or else you'd have to walk quite a distance to the Starlight Movie venue. People started flocking in as soon as the door of the venue opened (6pm) to book the comfortable beanie bags, and grab nice spots for the best view of the screen. Beanie bags are available on a first come first serve basis, but you can always bring your own one here. If you're wondering the size of the screen and distance from your seat, here's how it looks like. The gigantic mobile phone screen is the main display, so latecomers may have to sit further away from it. 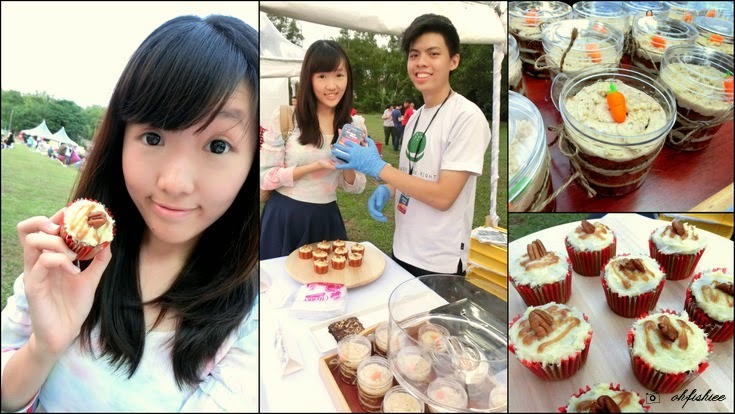 In fact, Starlight Cinema is more than just a movie under the stars, it is more like a mini festival with stalls encircling the 'cinema' field. 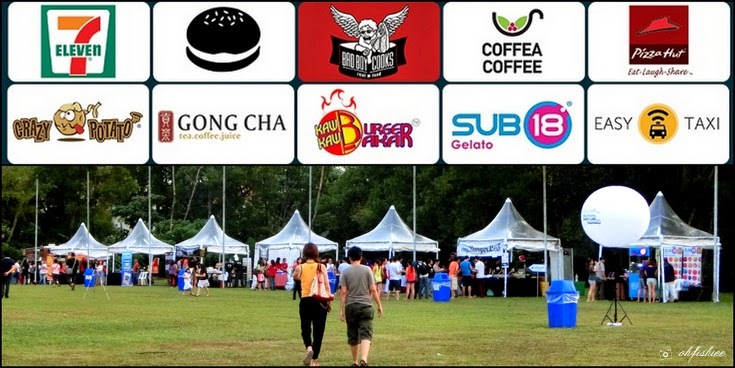 And I saw lots of food vendors of GALAXY Life there too, for instance, Burger Bakar Kaw Kaw, Pizza Hut, Coffea Coffee, Crazy Potato, myBurgerLab, Gong Cha, SUB18 Gelato and 7-Eleven! Before the movie starts, let's grab some comfort food for the stomach first! from the merchants there! Come early and redeem while stock lasts! 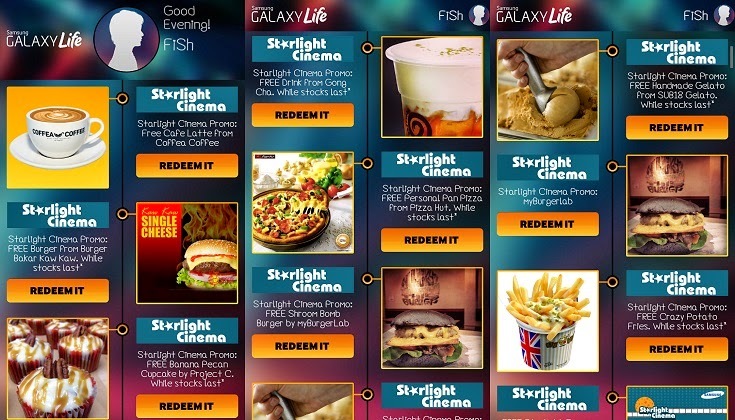 by flashing the GALAXY Starlight e-voucher to the stall. 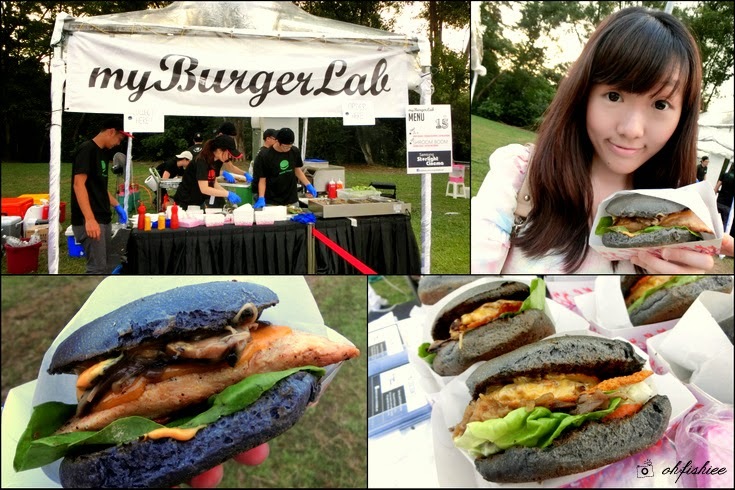 Delicious cheesy Umami filled mushrooms on top of a quarter pounder of juicy beef/chicken seared patties! Yummy moist banana cupcake with roasted pecan, caramel topping and cream cheese filling! Choose 1 among Hawaiian Chicken, Beef Pepperoni and Tropical Chicken. 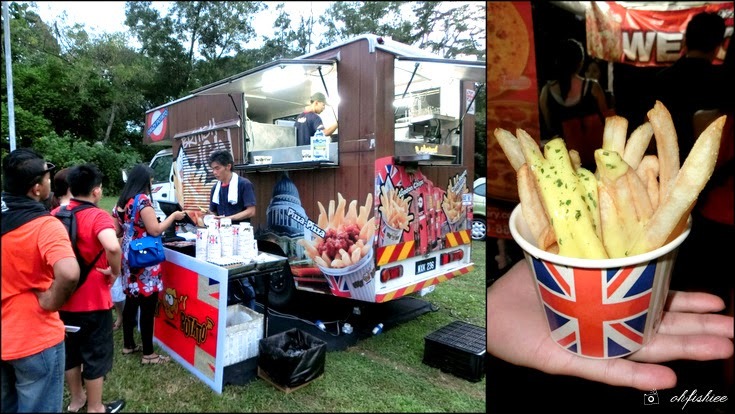 Choose among popular flavours: Pickle Mayo, Honey Mustard, Cheese Cheddar etc. Choose among Cookie & Cream, Strawberry Yoghurt, Hazelnut and Blueberries. Download your Samsung Galaxy Life application and redeem your freebies now! The overall movie experience was awesome, with the huge, clear screen and good sound system. Gathering a bunch of friends and enjoying a movie night picnic is an one-of-its-kind experience that is memorable to me and I love the windy night that doesn't feel hot at all! 1. Bring along a mat, cushion, plushie, and fan for the picnic. 2. Mosquito is not an issue there, so you can wear as comfortable as you want. 3. Bring water bottle and umbrella along, just in case. 4. 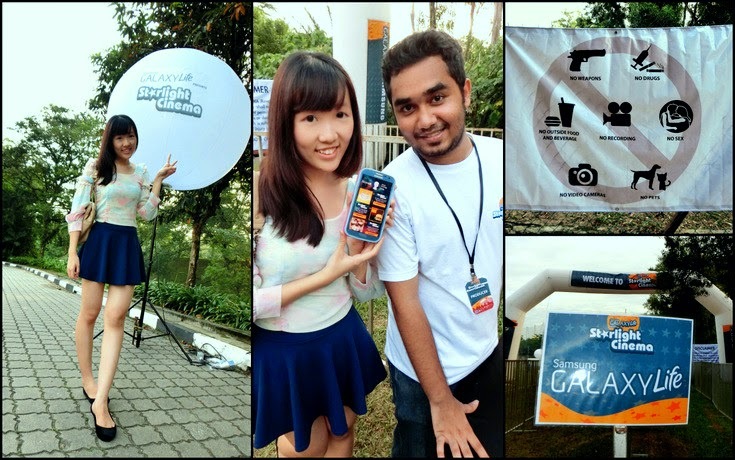 Bring a powerbank as you need your gadget to redeem freebies and take lots of pictures there. 5. Come early to secure beanie bag, good spot and free food from the booth. 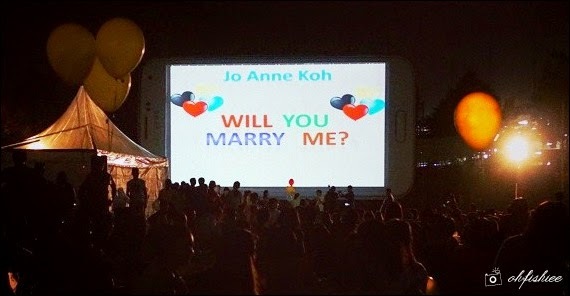 I was lucky to be one of the spectators to watch a wedding proposal there! What can be more romantic than proposing to your girlfriend in the sea of crowd? 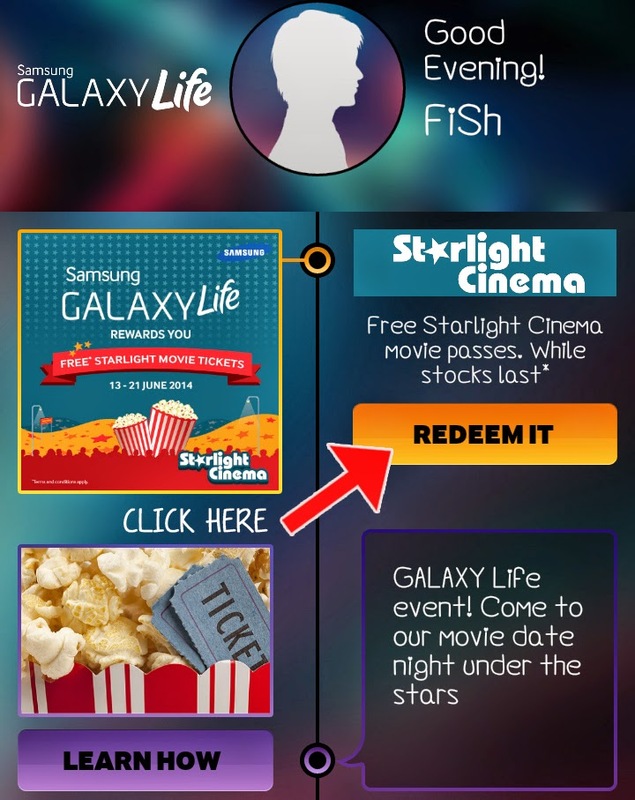 Come and experience Starlight Cinema with Samsung GALAXY Life! Step 2: Launch the GALAXY Life application and sign in with your Samsung Username and Password. 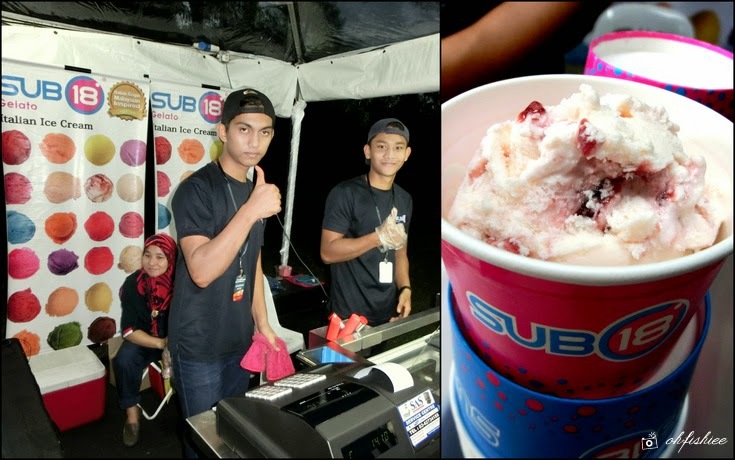 Step 3: Tap on “Redeem” button at the ticket redemption counter from 13 - 21 June 2014 from 6pm till late. Netflix people, if your service went up to $20, I don't care if you include movies that just left theaters, I would drop it like a bag of hammers.